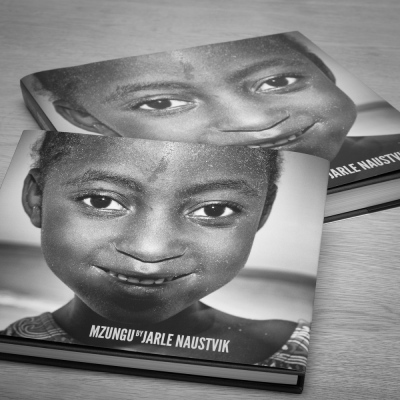 In his first publication; MZUNGU, Naustvik presents the most memorable and interesting of his images taken during a seven months journey around the world in 2011. Portraits of children and workers are presented alongside views of historical landmarks, dramatic landscapes, and scenes of daily life. These are personal reflections of the surroundings. Instant moments, a smile, a scene, a detail. Moments that capture a glimpse of the reality and beauty of life, interpreted in monochrome. Most of the spreads are designed individually as pairs, which together convey a story, others are presented as double-page spreads for maximum impact. MZUNGU is produced with the best quality materials from the Blurb´s ProLine series which gives the book a high-end look. Hardcover with Dust Jacket and ProLine Charcoal Linen gives the look and feel of natural fabric. ProLine Charcoal End Sheets with a light texture, and ProLine #100 (148 GSM) paper with an eggshell-textured and uncoated finish.